Expand search to view more listings in and around Arlington. See more offices in and around Arlington. Find your perfect office space in Arlington with Offices.net's powerful service. Our team's in-depth knowledge enables us to find the commercial property you require from a wide range of prime locations and office building options. 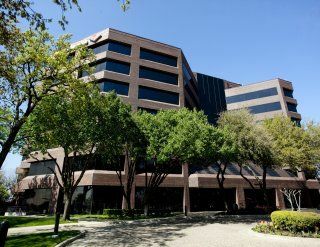 Many of our executive suites and private offices offer easy, short term and flexible rental contracts, meaning that your company can have the benefits of a wide range of services and a prestigious address in Arlington TX, with an agreement that is tailored to match your needs. Part of the DFW Metroplex, Arlington offers several advantages to business owners: the city is a short drive from Dallas/Fort Worth International (DWF Airport), connecting the area with major business cities in the US and overseas, such as Los Angeles, Chicago, New York, San Francisco, Tokyo, London, and Frankfurt, and is also ideally positioned to handle large-scale logistics operations, offering easy access to a population of 6.5 million people within the Dallas - Fort Worth metropolitan area. Offices.net is here to provide a wide range of competitively priced, prestigious, fully-equipped office space in Arlington TX on flexible rental terms to suit your business' needs. No matter what property type you�re after, you will be impressed by the range of business amenities and professional support services available including high speed internet, meeting rooms, business lounge access, dedicated phone answering service, car parks and much more. We work hard to ensure that the whole process is as easy as possible for our clients. Arlington TX is a mid-sized office market with a total inventory of nearly 7.5 million square feet of space. The majority of office buildings date from the 1980s, but many have been refurbished to suit the changing needs of tenants. On the whole, this is considered a mature office market characterized by stability in terms of demand and other key indicators. Leasing activity levels are sustained by the city's low unemployment rates and by the affordable cost of commercial real estate, although a surge in inquiries and transactions has been the predominant trend since late 2016. Momentum is likely to continue considering that there are several large office development projects that have already received approval, including office towers in Pentagon City, Rosslyn, and Liberty Center. Average asking rents for Class A offices in downtown Arlington are just above $20 / sq ft / year (2017 data). Feel free to search through our commercial real estate listings. 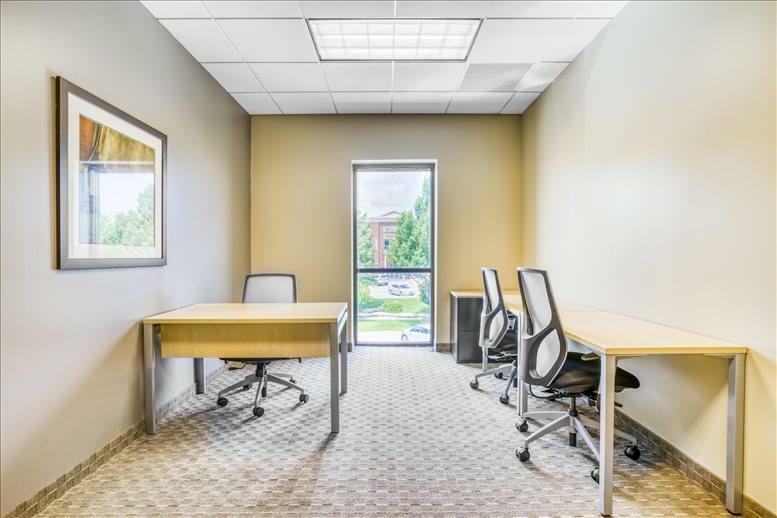 Each office property on our site has a page dedicated to it, which highlights the amenities and services offered by each furnished office center. Most of the commercial office property we feature is located near retail spaces and shopping centers, within close proximity to business amenities, major road networks and public transport options. Click on any of the offices shown above to find out more about them, and if anything you are looking for isn't immediately obvious please contact us and ask. We would love to help you find your perfect office. Just pick any of the offices to rent in Arlington displayed above. All of the office space listed on this site is in an excellent location and is available for rent on flexible terms. The city of Arlington has a convenient location between Dallas and Fort Worth. Its lively entertainment scene, active job market, and affordable cost of living have earned Arlington the title of Best Big City in the South of the United States. Until the mid 20th century, Arlington's economic development was closely linked to the automotive and aerospace industries. Later on, the city experienced a fast diversification of its industry base, which is currently supported by real estate, medical device and plastic manufacturing, industrial machinery, and professional and business services. Tourism and leisure are also important due to the presence of well-known attractions such as Six Flags, the Arlington Museum of Art, the International Bowling Museum, and several entertainment and shopping venues. The city's total workforce consists of approximately 195,000 people, with the most common professions involving management, sales, admin support, business and financial operations, education, construction, and food services. Local graduates have with specialized skills in wholesale trade, transportation, management, finance, insurance, and waste management. Workforce development is a priority for local authorities and private sector institutions, as reflected in the wide range of initiatives available from the Center for Continuing Education & Workforce Development, the Texas Workforce Commission, the University of Texas at Arlington, Workforce Solutions for Tarrant County, and the Small Business Administration. The ten most important employers in the metropolitan area include the University of Texas, the local school district, General Motors, Six Flags, Texas Health Resources, JP Morgan, GM Financial, the City of Arlington, Parks Mall, and Texas Rangers. Local firms also benefit from Texas' outstanding reputation for business, which is evident in the range of incentives and tax advantages offered at state and local level. A list of incentives is available from the Arlington Office for Economic Development. Haven't got time to search for Arlington office space? Simply contact us using the number or form above and we'll be happy to show you some options in and around Arlington and Dallas - Fort Worth metropolitan area.